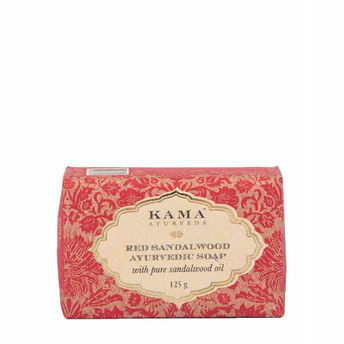 Kama's Red sandalwood soap is made with natural red sandalwood and pure sandalwood oil which is prescribed in Ayurveda for curing various skin related issues like acne, sunburn, blemishes, premature aging . Explore the entire range of Soaps available on Nykaa. Shop more Kama Ayurveda products here.You can browse through the complete world of Kama Ayurveda Soap. Explore the entire range of Soaps available on Nykaa. Shop more Kama Ayurveda products here.You can browse through the complete world of Kama Ayurveda Soaps .